When the sun goes down, it can only mean one thing. Party revellers from all walks of life, across all corners of the globe converge for an unforgettable night amidst infectious music. 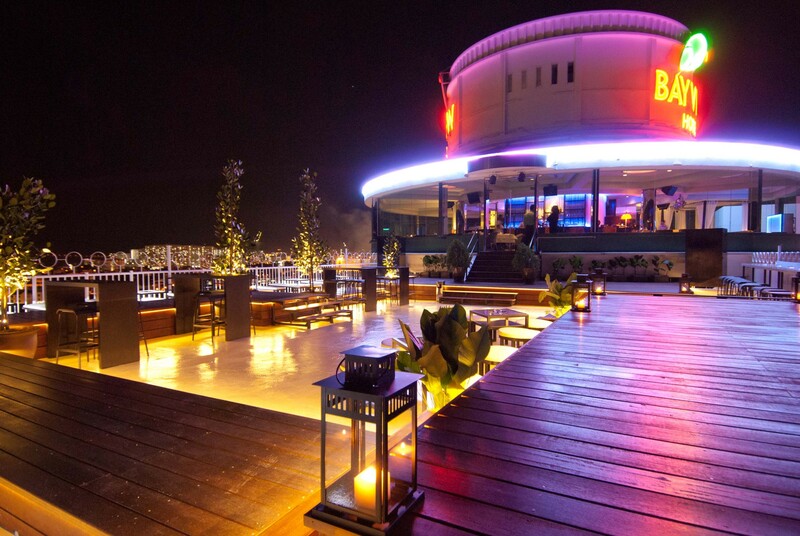 From rooftop cocktail bars, pubs to beach bars, these places are just the tip of the iceberg amongst the many night time attractions peppered across the Penang island. Regarded by many as the main attraction of Georgetown’s nightlife scene, this stretch at the beginning of Jalan Penang truly comes alive after dusk. 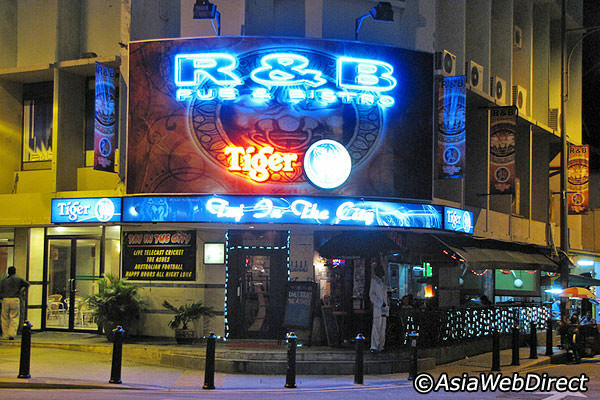 Highly popular with Westerners and expats, this party hotspot is filled to the brim with nightclubs and pubs that are adorned with neon lights and booming music. Dishing out delicious food and drinks at cheap prices, Farquhar’s Bar is widely regarded by many as one of the best bars you can find in Georgetown. With a myriad of cocktails, beers, a variety of non-alcoholic drinks and scrumptious pub dinners, their signature drink, the Eastern & Oriental Sling is simply a must-have. 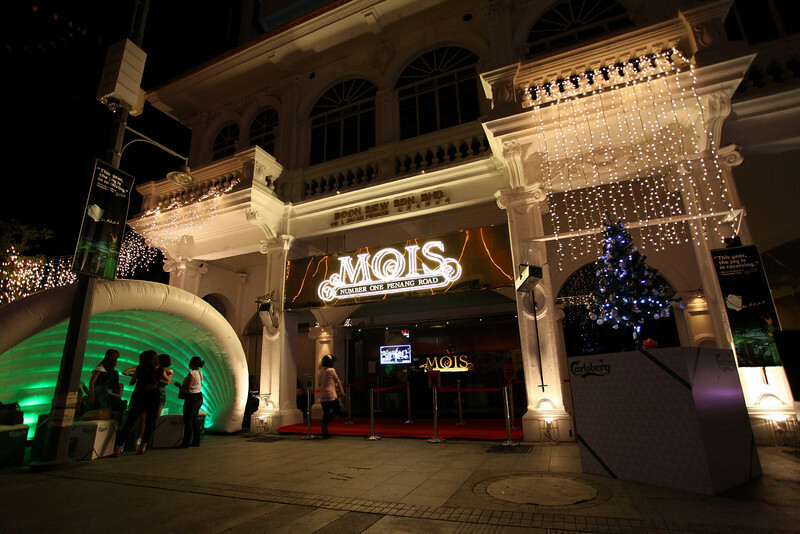 Decked out in a white colonial-style building, Mois sets the standard for a truly unforgettable party weekend. Aimed at the younger crowd, this club is always packed as guest deejays and live performances from guest bands often make an appearance. There is also a bar just right outside next to the entrance, where you can enjoy a cold beer in hand while watching the night go by. Entrance is free before 22:00. 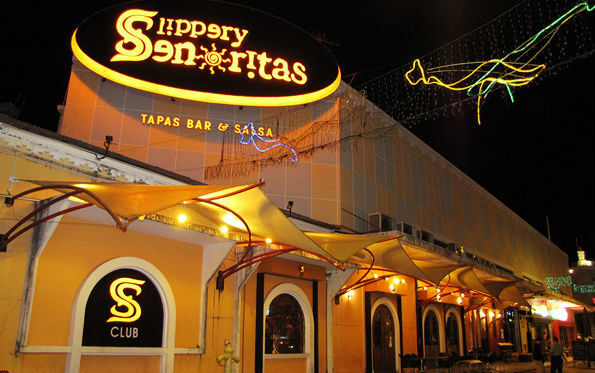 A preferred choice amongst party revellers, Slippery Señorita has been the place to be since it first opened its doors in 2001. With its rich variety of music and highly stylised environment, this nightclub also offers flair bartenders that regularly perform synchronised bottle-juggling and fire-breathing performances. 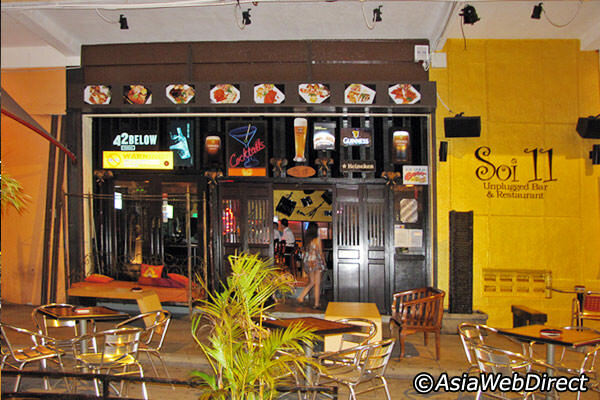 Located just right next to Slippery Señorita, this restaurant and bar serves up a selection of premium beers such as SOL from Mexico and its best-seller, Paulaner from Germany. A crowd favourite amongst the youths, this open air bistro also boasts having live band performances on most days. 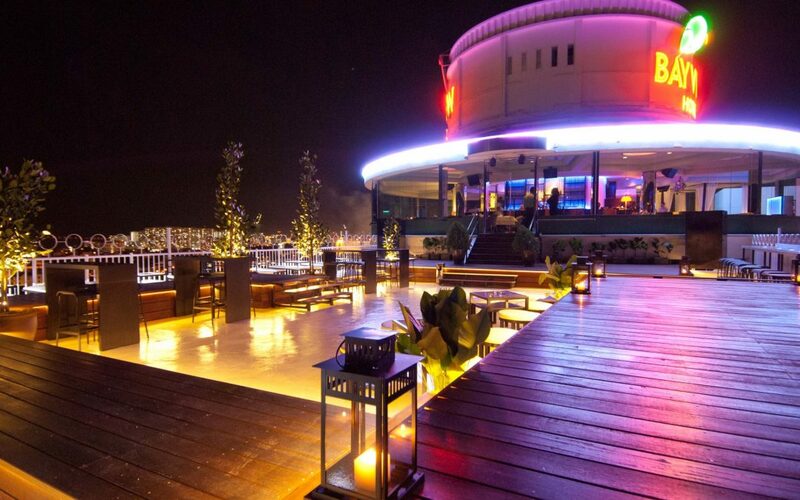 Enjoy a cocktail amidst the breathtaking view of Penang’s bustling city centre at this rooftop bar in Georgetown, the capital’s first. This swanking new joint is nestled atop Bayview Hotel Georgetown and features a dining hall that revolves 360 degrees. Where else can you see the whole of Penang one minute and the next you’re staring at the colonial-era architecture of the Eastern & Oriental? 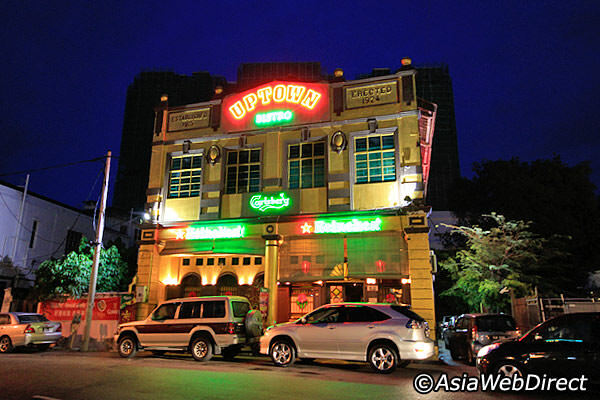 With its bright purple exterior that sticks out, Uptown Pub & Bistro offers upbeat live performances of the Oriental variety. With its diverse collection of Chinese songs and Cantopop on offer, you’re truly in for an Asian treat. Enjoy a cold beer out in the courtyard as you let yourself be treated to an aural feast. 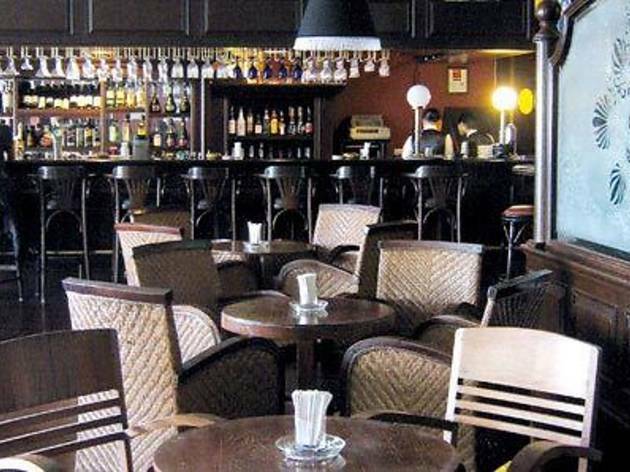 Located on the 1st floor of Merchant Hotel, this upbeat nightspot is the home to live bands that perform here on most nights. Fans of pool and darts will find this place especially welcoming as they can play a couple of rounds while enjoying a drink in hand. 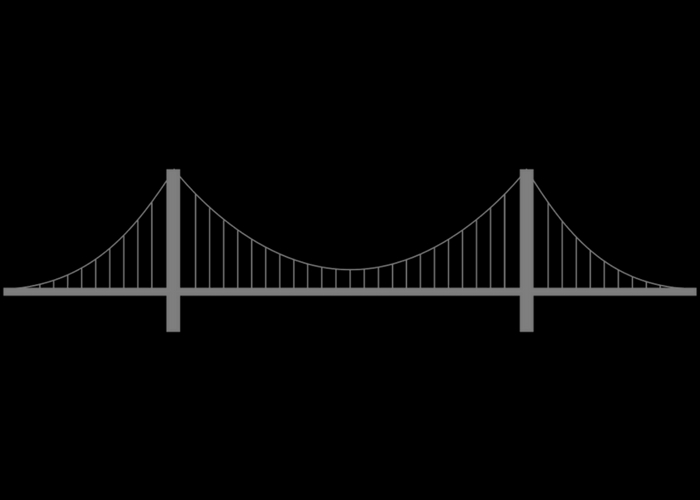 Despite its laid back style and casual atmosphere, proper dressing is a prerequisite. Did we mention that there’s also a karaoke lounge inside its premises?